Kansai International Airport will send it to Kansai International Airport. I will come to you.Please apply to your desk at the front desk.Rinku-Town Station will not go to Rinku-Town Station. 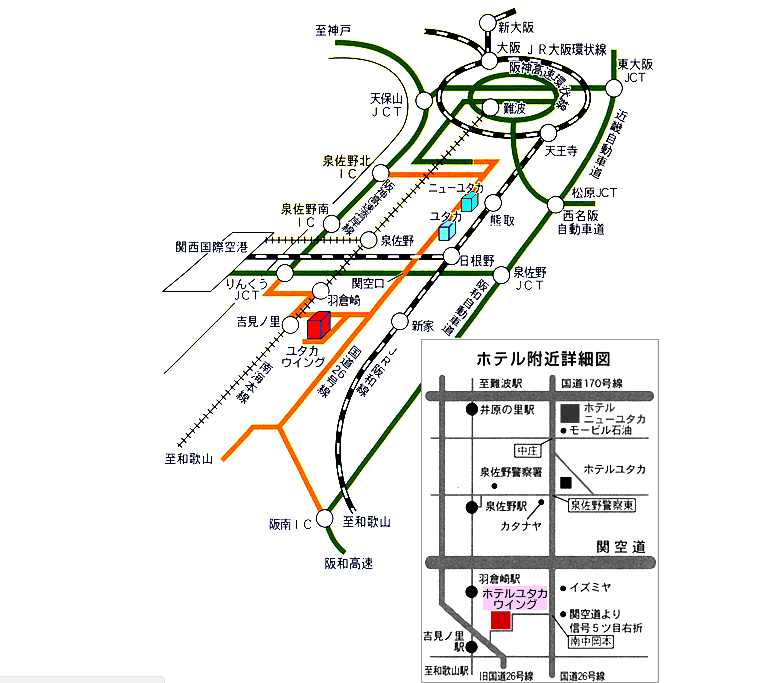 In addition, departure at 10:15 will be via the outlet · Rinku-Town Station. The journey time is about 25 minutes. Please make sure you have plenty of room for your schedule. 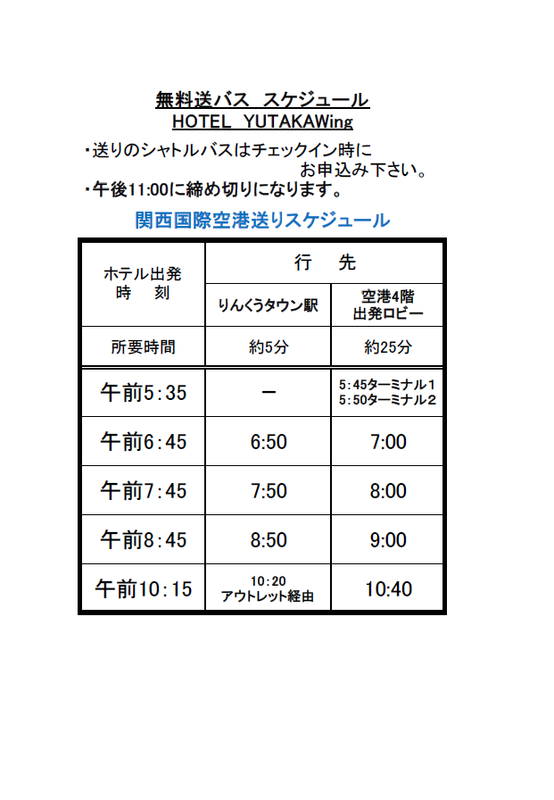 In addition, please make your reservation by 11 o'clock PM on the previous day. ●Please note, from May, pickup from Rinku-Town Station is gone. It will be kept only for your stay.One night regular car \ 500 (tax included) will be. For car customers, please contact us.